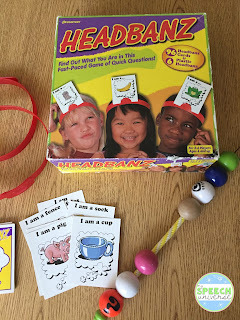 Today we had fun using the game Headbanz along with the Expanding Expression Tool (EET) for describing. 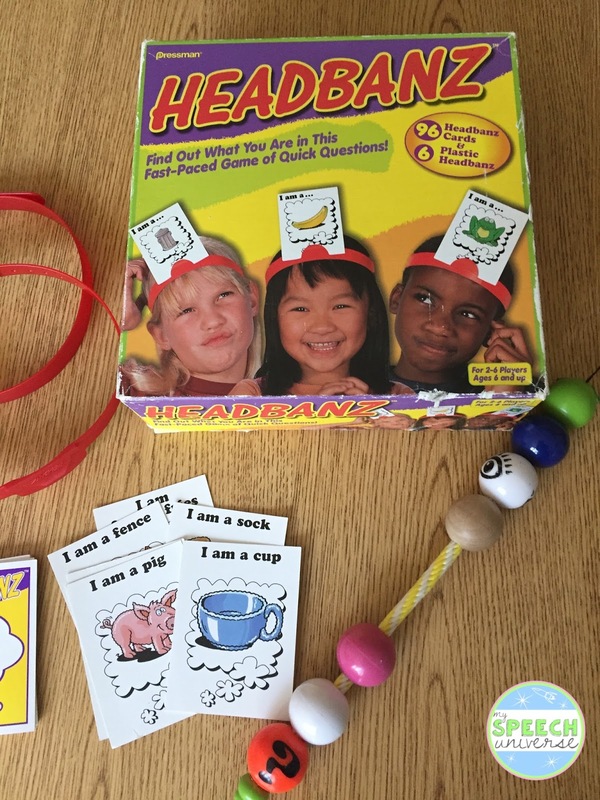 Normally, the game Headbanz has students asking about what is on their head. They are supposed to ask questions that will guide them into figuring out what item is on their head band. My students and I had an idea today to use Headbanz with the EET. We decided that instead of asking questions, we would have to describe what is on other people's heads using the EET. We also decided that you would "win" the card if the person guessed what item was on your head. I got some great descriptions from students using this game and the EET. They all tried to guess the items after just a few beads, but I made them describe using the entire string. I got a lot of "oooh, oooh, oooh, I know it, I know it!" But, I made them wait so that the other student got practice with describing. Nice twist on HeadBanz! I think it would work well for the younger students. We have had a lot of fun with this. My fourth graders loved it!